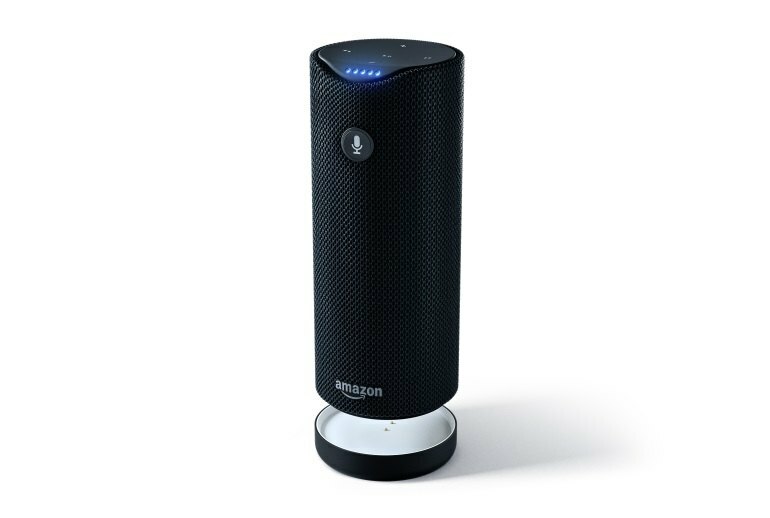 The battery-powered Amazon Tap gives Wi-Fi connected travelers access to Alexa virtual assistant technology without having to plug into an electrical outlet. 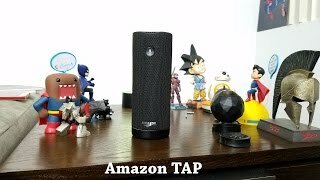 The Tap does almost all the Amazon Echo does for $50 less and gives you a decent Bluetooth speaker. The Tap comes with a handy recharging cradle. 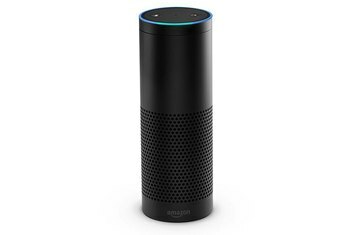 Having to press a button to activate Alexa eliminates a lot of its charm and usefulness. As a portable Bluetooth speaker, the Tap falls short of some competitors. Going through a setup routine for every Wi-Fi network on the road can get tiresome. 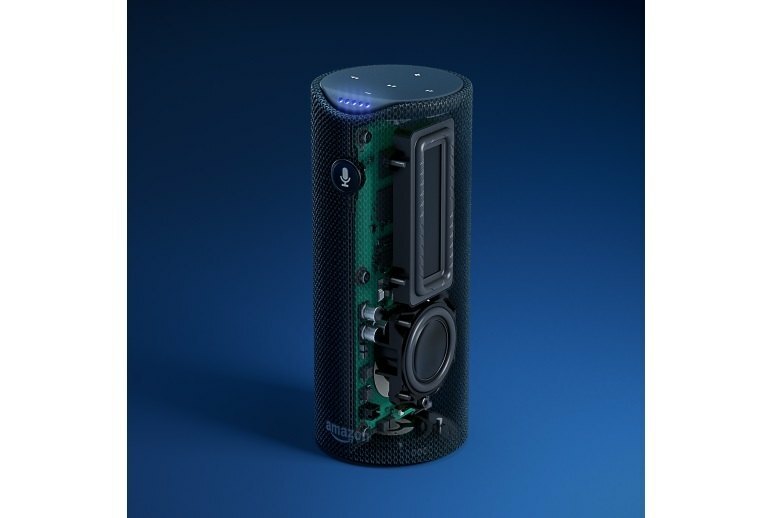 The Amazon Tap builds Alexa virtual assistant technology into a small, rechargeable battery-powered Bluetooth speaker that connects to the Internet via Wi-Fi or a tethered smartphone. 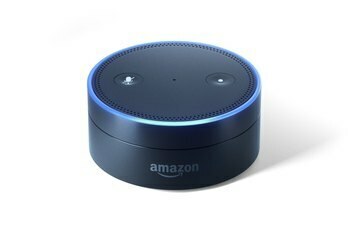 This makes it useful for travelers, but to save battery power, Alexa only works when you press a button on the Tap--with Amazon's other Alexa-enabled devices, the Echo and the Dot, Alexa is always listening. The Tap comes with a micro USB cable that plugs into the Tap itself and a charging cradle. The Tap is cheaper than the Echo even when you invest in the optional rubber carrying sling. Without Alexa’s effortless, voice-prompted smarts, the Amazon Tap is missing the polish that comes with the Echo experience. The result just feels rough. 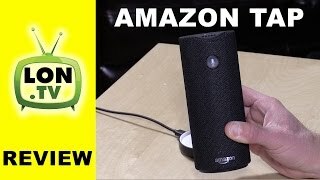 It's worth a look if you want Alexa on the go, but the Tap isn't the best Bluetooth speaker or the best Alexa-enabled device you can find. 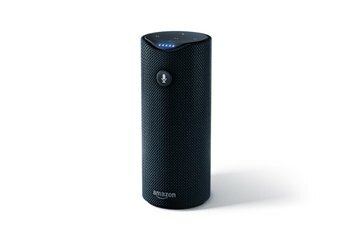 The Amazon Tap is a fine portable wireless speaker, but it's difficult to recommend when there are better products with Alexa, like Amazon's Echo or Echo Dot. For shoppers who balk at the Echo’s $179 price, Tap is a more modestly priced substitute. But it will only make them wanting more. Overall, the Tap is a decent (but not great) speaker with an unusually smart assistant inside. 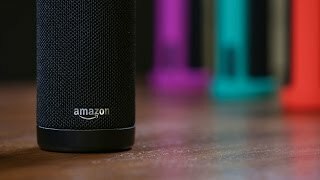 Amazon Tap has promise, but those really interested in mobile music could find better Bluetooth speakers for their money, while anyone wanting a digital assistant should go the whole hog and buy an Echo instead. 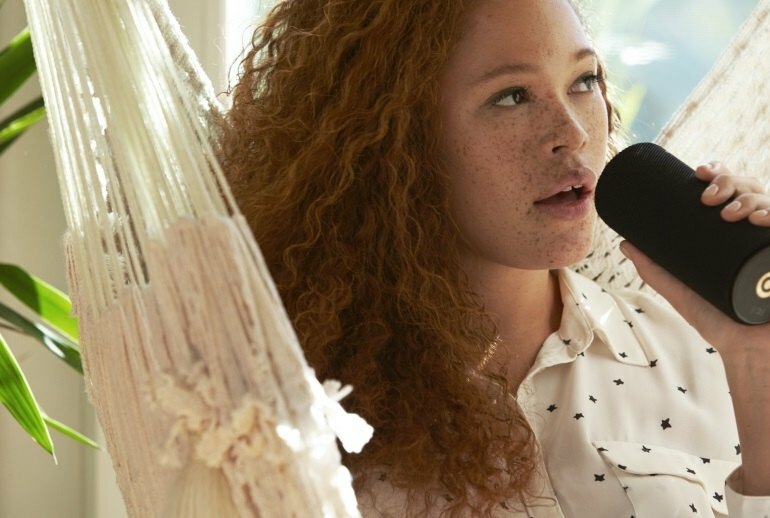 The Tap's product page shows all kinds of attractive people holding up the speaker, thumb on the microphone button, like it's an actual singing mic. They look stupid. And I felt stupid doing the same while using the Tap. The Amazon Tap deserves our recommendation as a great portable option with a decent enough speaker to use on the go. Even though this is a great device for people who might be technically challenged, it’s slightly complicated to setup for the first time. Having to push the little microphone button creates just enough friction that I don’t use it. It’s a paperweight. Tap fulfills its promise as a quality portable streaming WiFi and Bluetooth speaker, and works almost as well for Alexa voice command-and-response as its stationary siblings.